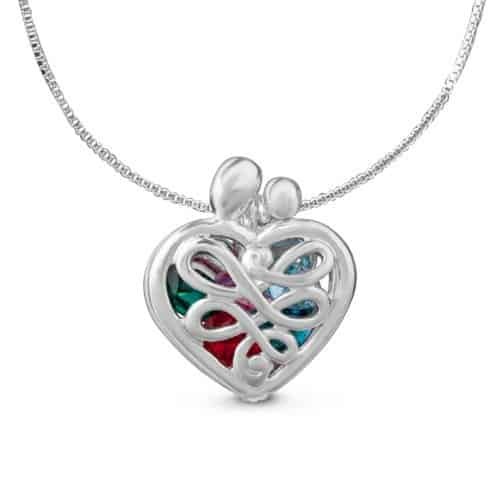 Sentimental heart-shaped locket features a mother and child embracing. 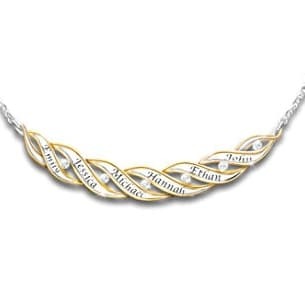 The family member's Swarovski birthstone crystals peak through the filigree detailing. Holds up to 5 birthstones. 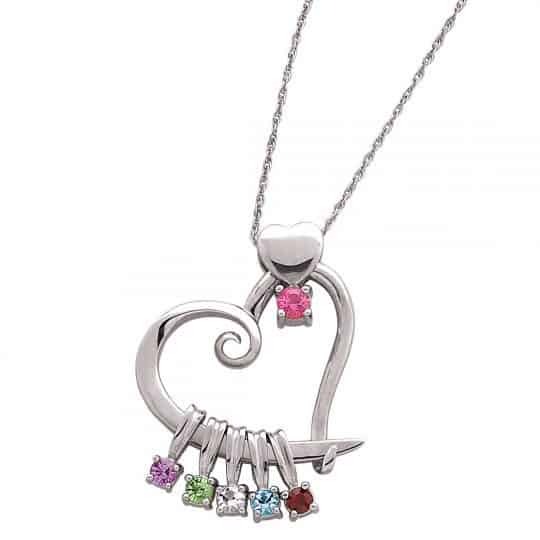 Click here to see the larger version, which will hold up to 15 birthstones.